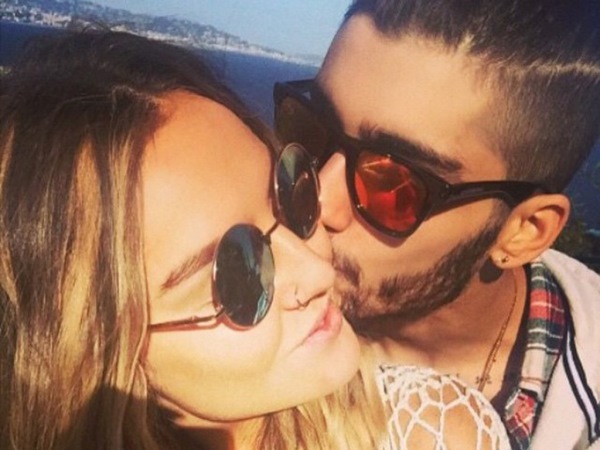 Zayn Malik left One Direction for his fiancée Perrie Edwards, his bandmate Liam Payne has confirmed. The singer confirmed he had quit the British boyband in March, explaining he wanted to be a normal 22 year old for a while and wasn’t feeling the music anymore. Since then there have been rumours about how well the decision went down with the other guys, Liam, Harry Styles, Louis Tomlinson and Niall Horan. It was also thought that Zayn's love life might have been a factor, with Liam now opening up about that. "Sometimes you have to move on because you're not enjoying what you're doing as much as you used to," he told UK radio station Capital. "He wanted to spend time with his family and his missus. That's cool with us." Zayn was initially signed off the lads' On the Road Again Tour with stress, then confirmed he wouldn't be returning. Fans of the group immediately blamed Little Mix singer Perrie, with some even suggesting she was the Yoko Ono of One Direction. Yoko was famously married to late Beatles musician John Lennon and is alleged to have caused issues within the group. However, Liam insists there is no bad blood between the remaining band members and Zayn. "He had to do what he had to do for himself," he explained. "We're all till great mates and stuff. I know it's difficult for people to see [him leaving, though]." It was thought there might be some tension between the now four-piece group and their former member after Zayn and Louis got into a Twitter spat. Zayn has been working with producer Naughty Boy since leaving, and after he posted a photo online Louis publicly poked fun at it. This led to Zayn calling his pal out for being "b***hy", although Louis has since insisted they have moved past that. The group showed how much Zayn means to them at the Billboard Awards on Sunday when they picked up the Top Duo/Group prize and gave their "brother Zayn" a shoutout. "[It was] majorly upsetting [when he left]," Liam added to Capital. "It's like anybody else's job, sometimes you have to move on because you're not enjoying it. "We'll keep flying the flag, it's all we can do."